It seems impossible to deny it, Vyrll Society are definitely a band on the up. Their anthemic, well constructed songs put them firmly in this category and they have been gathering momentum for a while now. 2018 could well prove to be the year they finally break into the nation’s consciousness. Expansive and dreamy, Vyrll Society’s music deserves to be heard. 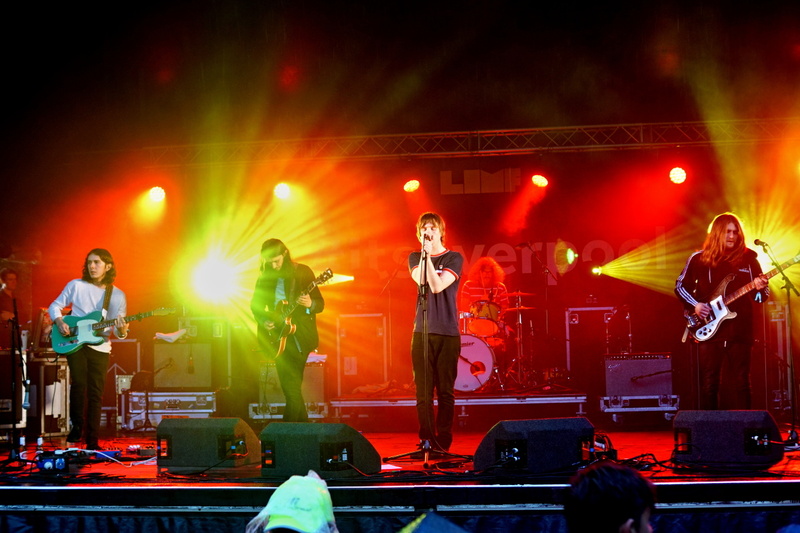 With hints of early Verve, subtle grooves and a blissed out feel, their headline set at LIMF‘s Liverpool Next Gen stage promises to be one of the festival’s highlights. Personally, having never experienced Vyrll Society live, I must confess that this is one of the year’s gigs I am looking forward to most. There is something abut their music that demands to be listened to in a live environment, and watching their Saturday finale as the beauty of their music drifts over me is something I suspect will stay with me for a long time. Before all this however, Getintothis caught up with Vyrll Society to see what has been happening to them, with another of our fiendish 13 Questions exercises. So, what are Vryll Society about? 1) Where are you and what are you doing? At the moment I have currently just got home after rehearsing for the gig on Saturday, I’m now going to take the dog for a walk and then come back and make some food. 2) How is that working out? It’s going great at the minute the gig is going to be fantastic, the dog can’t wait for his walk and I can’t wait to have something to eat. 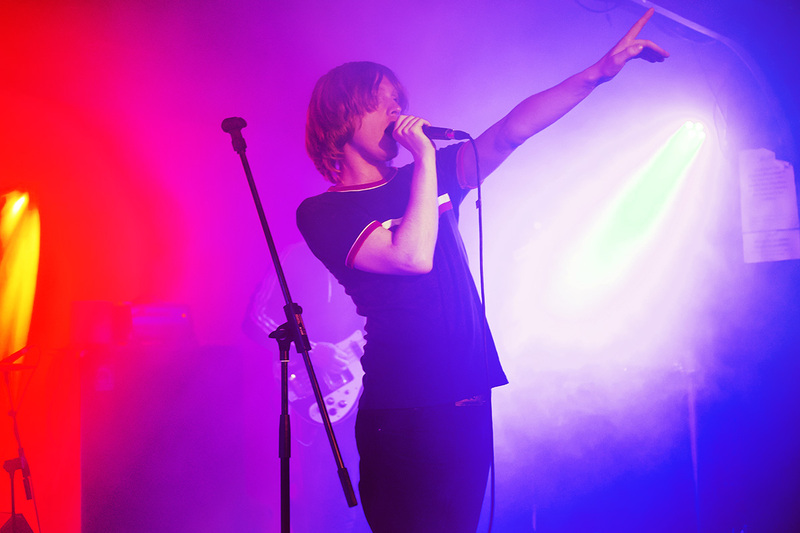 3) What is the last gig you went to? 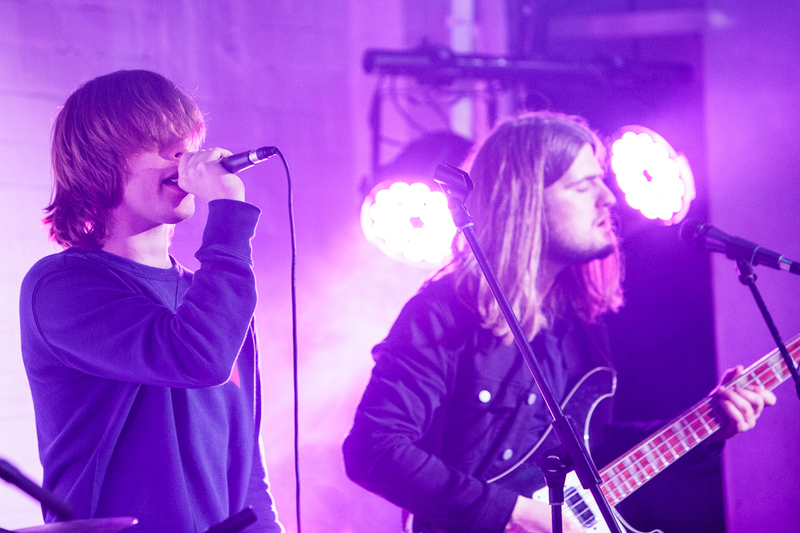 I recently went down to London to watch Tame Impala at Citadel Festival. It was a boss day out. Check out Peach Fuzz, they are pretty new and they sound class, they will be releasing a single soon. 5) What is the worst gig you’ve ever done? Haha probably a long time ago when I first started in a band, you think it’s great to be really drunk playing a gig when you’re like 16, don’t you? That’s a very, very tough question but I’d say at the minute it’s a nice simple spaghetti with cherry tomatoes, garlic, parsley & a white wine sauce. I absolutely love cooking, one of my favourite ways to pass the time. 9) What’s the best night out you’ve ever had? The best night out ever is too hard to answer as there has been some spectacular nights out, but I did have a screamer of a time on Sunday going down to London to see Tame Impala with all of the chaps. 10) When was the last time you laughed until you cried? I was watching ‘There’s Something About Mary’ the other night and it had me in stitches, Ben Stiller is a very funny man. 11) What is your favourite view? The view from Castelbuono in Sicily, looking up in to the mountains from the village is pretty amazing. 12) Where did you last go on holiday? I last went to Amsterdam with my little brother, we had it planned to go for his 18th birthday so we went in May. It’s always sound in Amsterdam, that was my 4th visit. 13) Thanks for taking the time to answer our questions. Is there anything else you’d like to say? Thank you very much. Preorder our debut album haha!